There are a lot of activities that can keep you entertained! Below are answers to “Frequently Asked Questions” or FAQs. Please let us know if you have additional questions: sundaramsuites@yahoo.com. A: Sundaram has an elaborate water purification and softening system. Together they make the water drinkable from any source in the house, using ozone and ultra violet light, to not only remove all solids and chemicals from the city water, but also, paralyze any bacteria that may be harmful. The swimming pool water is treated with ozone, allowing for a much reduced amount of chemicals in it. Not chlorine based but salt based water treatment. Tempered whole year round. Q: What does the rate include? Self served breakfast for the first few days of your stay. Beach equipment, towels, unbrellas, chairs. Comfortable massage tables so you can hire on site masseurs. A safety deposit box for your personal use. Mini bar in your room with ice maker. Tempered pool – heated year-round. Q: How do I get there from the airport? A: There are many services that can bring you to Sundaram. You have taxis at the airport or rental car. We are 50 minutes to 1 hour north of the Puerto Vallarta International airport. Q: Is UBER available from and to the airport? A: To get this service, while at the airport, you need to cross the pedestrian bridge over to the other side of the highway and call UBER. UBER is not allowed to pick guests up from within the airport property. Q: How far are we from the beach? From the town? A: The beach is 1 block west from the villa. The town is 5 minutes away, where you can find restaurants and stores to explore. There are no huge hotels that usually disturb the peace. It is a quaint small town whose residents respect and maintain it as such. There is a strong community feeling all around. Q: How many people does each suite accommodate? A: Each suite is designed to accommodate 2 people. There are 2 separate private suites, one downstairs and one upstairs. Each suite has a King size bed with a memory foam, orthopedic mattress, and an on-suite complete bathroom. You can book a single suite or both suites and have the place for your own! Q: Is there a kitchen we can use? A: Both suites share a fully equipped kitchen, with GE Monogram stove and oven, full size refrigerator, dishwasher, automatic orange juice machine, fully automatic coffee machine and all cookware, dishware, flatware and glassware needed to have a wonderful meal. Each suite has an under counter mini bar with an ice maker for private use. You can also hire the services of private chefs; we can assist you with suggestions. Q: Where do I wash my clothes? A: We have an inhouse laundry center, with professional washer and dryer. Q: What is there to do for entertainment? Enjoy San Pancho´s world famous sun sets, steps from your suite. Go horseback ridding at the beach, be picked up at your door step! You can hire a personal driver to take you to Puerto Vallarta or the closest towns. He will take you there and back, and will wait 3 hours while you enjoy visiting or dinning out. You can visit the nearby towns of Sayulita, Punta Mita and others. A trip to Puerto Vallarta (1 hr away) for the day will offer great entertainment. Wednesday evenings there is Art Walk, where all main art galleries open their doors late in the evening for you to walk and visit each gallery and enjoy food and music. Enjoy one of the many fantastic restaurants in town for lunch and/or dinner, as well as great coffee shops. If you feel adventures, you can take a 1.5 hr trip to go visit the Vallarta Botanical Gardens. Get a professional massage, facial or reflexology treatment. We have selected the best! There are always yoga and Pilates classes available nearby. Enjoy the San Pancho Farmers Market during high season. Q: Is the place safe? A: San Pancho is a very safe town. You can walk the streets totally safe. Our location grants us an uncrowded beach, almost private! Q: What shall I bring? A: Bring sun protection. Although mosquitos appear mostly in summer months (low season, June to October), you may want to bring mosquito protection. Your suite has mosquito screens anyway. We provide bath and beach towels, beach chairs and umbrellas and basic toiletiers. Bring your lap top and your favorite music. You can also contact us ahead of time and send us your grocery list. We will do the best we can to accommodate your needs. We will provide you with the receipt for the groceries and charge you a small fee for the service. Q: Is it children friendly? A: Our suites are not for everyone. We try to keep the space quiet so you can feel the peace and calm of the environment. We encourage yoga, meditation, reading, relaxing, and with children around that is certainly a challenge. Q: Is there a minimum stay? A: 5 nights is the minimum reservation we accept. It takes a couple of days for you to disconnect and leave stress behind. Q: Where can we get cash? A:. Intercam Banco in Sayulita, 8 min by car from San Pancho. (Av. Revolución 231, Sayulita, Mexico 63732. Open M-F 9 to 4pm. You can Exchange dollars to pesos, have access to ATM machine, friendly attention, safe. 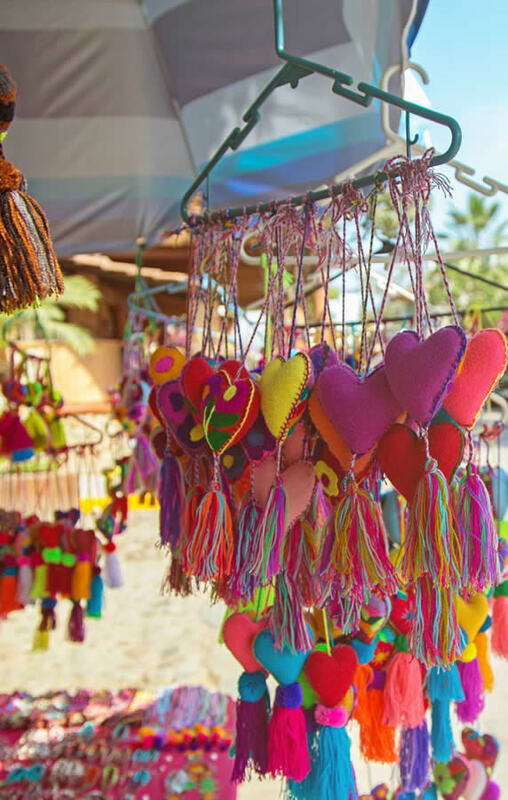 It is located just at the entrance of Sayulita, 2 blocks from the bus terminal. Q: Is there medical attention near by? A: There is a hospital very close to Sundaram. And there are pharmacies in town. The newest Hospital CMQ Riviera Nayarit, in Av. Héroes de Nacozari 280, Bucerías, 63732, 01 329 298 0717, just 25 min south, has the latest technology and medical services.